Kris started his career working in Amsterdam, Spain and the Monaco office for the Spliethoff Group, Sevenstar's parent company. In 2014, Kris moved to San Francisco to support the North and Central American yacht transport markets. He speaks fluently French, English and Spanish. Lauren is a very active member of the US team and travels great distances to service clients. She is our sport fishing specialist and you can meet her in person at various fishing tournaments and boat shows around the USA, Mexico and Costa Rica. Claudia has gained a thorough experience in the yacht transport sector working in different roles, both in operations and sales, and specializing in the Chartering industry. She is now focused on the USA, South America and Far East. She has lived and worked across 5 countries and speaks fluent English, Spanish and Italian, while the Dutch is still under construction. Astrid is a valuable Dutch asset to the international team in Palm Beach, Florida. She is very focused and conscientious in her work combined with her open personality makes her a great contact for her clients. She is responsible for the USA, Australia and Asia yacht transport market. Uta Scarlata established Sevenstar Yacht Transport’s USA presence with the successful launch of our Florida office in 2005. For more than a decade, Uta has overseen the USA, Caribbean and European yacht transport markets. Uta’s experience and passion for her clients will ensure you and your yacht receive first class service throughout the transportation process. Nic is the youngster in our Amsterdam Headquarter, but don’t underestimate his knowledge or dedication to the job. Sharp and committed he holds the responsibility for everything that floats between Northern Europe, United States and the Caribbean. Valerio is Sevenstar’s multi lingual power house based in Monaco. He has been transporting yachts for the past 20 years making him a great source of knowledge to clients and colleagues and specialist in the Italian - French Riviera, USA and all other exotic destinations worldwide. Alisha is an important contact for Sevenstar in the Pacific. She maintains a wide network of contacts in New Zealand and beyond which she helps her in leveraging to clients’ benefit. In her personal and professional life she is known to be a very lively, full of energy character. Julia looks after our German clients who are transporting their yachts Worldwide. She operates within the German Sevenstar team and can frequently be found at one of our boat shows. Line has recently joined Sevenstar Southampton office in the commercial liner division after over 30 years in sales and operations in the marine fuel industry. Line is Danish, multi-lingual and thoroughly enjoying her new path. Wiebke started working in the Amsterdam head office in June 2013 and has developed the Transatlantic trade out of Northern Europe. As from July 2017 she was based in Singapore to develop the local market and has been a valuable addition to the Sevenstar team in Asia. 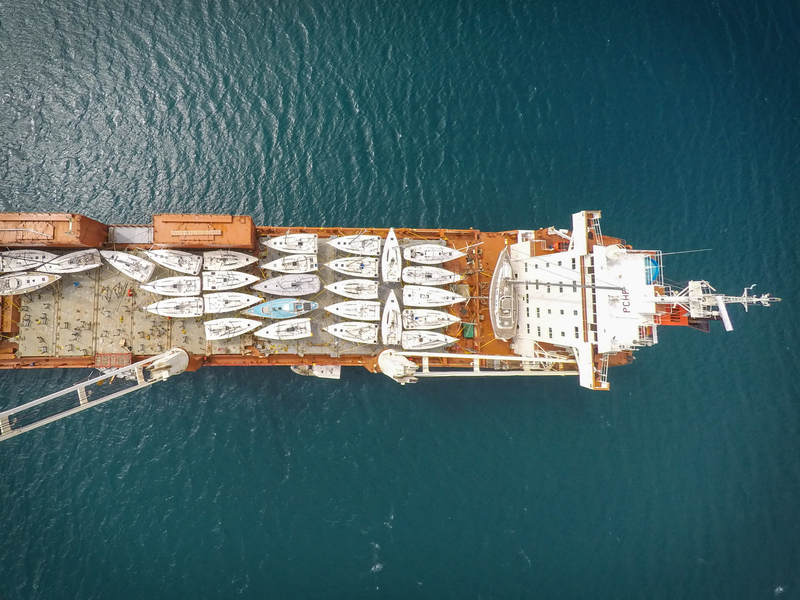 In February 2019 she moved back to Amsterdam in order to take on the Transatlantic trade from the Mediterranean Sea to and from the USA and the Caribbean at the HQ of Sevenstar Yacht Transport. De versie van de browser die je gebruikt is verouderd en wordt niet ondersteund. Upgrade je browser om de website optimaal te gebruiken.